Did you know almost 50% of the occupations projected to have the largest growth between 2012 and 2022 are in the medical field? * That’s exciting news for anyone thinking about making a career change! But potential job growth shouldn’t be the only thing you look at if you are thinking about going back to school. So how do you know if a new career in the medical field is right for you? Ask yourself these five questions and find out! Question 1: Do You Enjoy Helping Others? If you enjoy helping others and anticipating needs, then a job in the Medical Field could be a great fit for you! For example, the job duties of a Medical Assistants can include welcoming patients, assisting with examinations, acting as bridge between the patients and doctors and/or nurses and so much more. If working directly with patients doesn’t sound like something you would be interested in, but you still enjoy helping others consider a job as a Medical Office Specialist. Question 2: What Kind of Environment Do You Want to Work In? If you are constantly on the move, then you might be the perfect fit for the fast-paced lifestyle jobs in the Medical Field offer. There is a set schedule you must keep up with, so organization is key, but at the drop of a hat things could change and you are forced to be creative with your time. This unique work environment might seem overwhelming, but with practice it can be exhilarating and exciting. Question 3: Do You Want to Continue Learning? Having a passion for education and the drive to learn more about your surroundings is important in the Medical Field. Though you will have completed the required schooling and taken the licensing exam, there is always more to learn. It will be an easier transition into the professional world if you are constantly looking for innovative ways to excel at your job. The Medical Field is always evolving and advancing and so should you. If you are interested in self-improvement, then this is the right career for you. Question 4: Do You Work Well Under Pressure? As mentioned in Question 2, your environment could change very quickly; this career requires you to think on your toes. You will have to draw from lessons learned not only in the classroom, but in your everyday life and career. There could be emergencies where your expertise is needed, and you will have to be prepared so you can act quickly and with confidence. If you can focus on the present and prioritize a strategy, then you might make the perfect Medical Assistant. Question 5: Are You a Team Player? If you pride yourself on being reliable and able to adapt quickly with ease, then you are off to a great start as a Medical Assistant. One important characteristic of working in the Medical Field is being a team player. Clear and effective communication will be required and will help to maintain a constructive environment. If you can display genuine commitment while sometimes doing more than asked, then the Medical Field is for you. 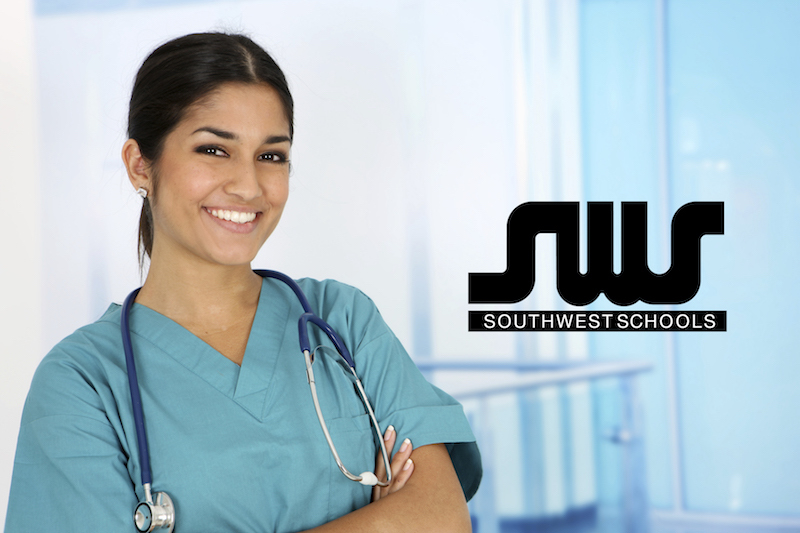 Southwest Schools equips its graduates with the skills, knowledge, and abilities to perform the duties that are required of a clinical Medical Assistant, Medical Office Specialist, Pharmacy Technician and more. We have over 35 years’ experience in Career Education and are committed to helping our students get the job training they need in today’s in demand fields. If you are interested in learning more about our programs, contact us today! If you are ready to get started you can apply now. Just meet a few straightforward requirements and you will be on your way to working in an exciting fast-paced environment that is perfect for you! *Statistic pulled from the Bureau of Labor Statistics Occupational Employment Projections To 2022. To read the full report use this link.